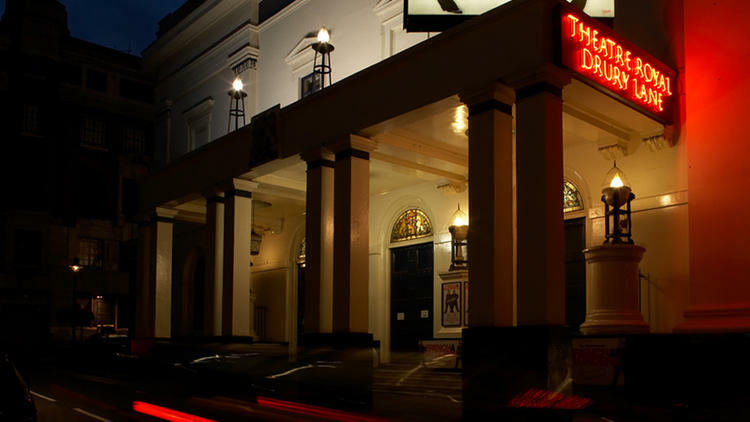 Take a tour of the world-famous Theatre Royal Drury Lane! A unique opportunity to go behind the scenes of the most famous theatre in the world, The Theatre Royal Drury Lane. Experience a world usually reserved for those who enter through the Stage Door. Since its construction in 1663, this theatre has triumphed over tragedy, fire, bankruptcy and even murder! During the tour, which lasts approximately one hour, you will meet characters from a wide range of eras who bring the history of one of London's oldest, largest and most magnificent theatres to life. Led by professional actors, this is a magical theatrical experience unlike any other theatre tour. Through The Stage Door is a chance to see a theatre come alive! The tour is suitable for everyone, however there is a fair amount of walking and climbing stairs involved. As such appropriate footwear is advised. Under eights may not understand all the subject matter. Currently there is no disabled access for this tour. Tour Times Monday, Tuesday, Thursday and Friday. Wednesday and Saturday at 10.15am and 12.00noon Tours schedules and times are subject to change. We will contact you if any changes occur via e-mail prior to the event. The tour takes between 1 and 1½ hours. No enough information and viewing of backstage etc.